Add a little piece of the game BioShock to your shelf or desk! The Bouncer-Class Big Daddy features a clean finish, free of rust and blood, in his vinyl format. 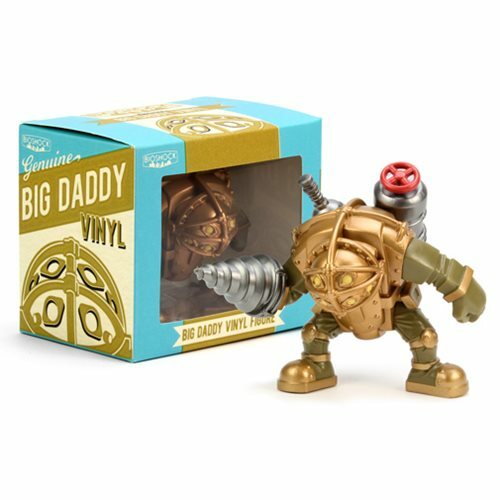 This BioShock Big Daddy Vinyl Figure measures approximately 4-inches x 4 1/2-inches x 3 3/4-inches and comes packaged in a window display box.